I LOVE to travel alone. 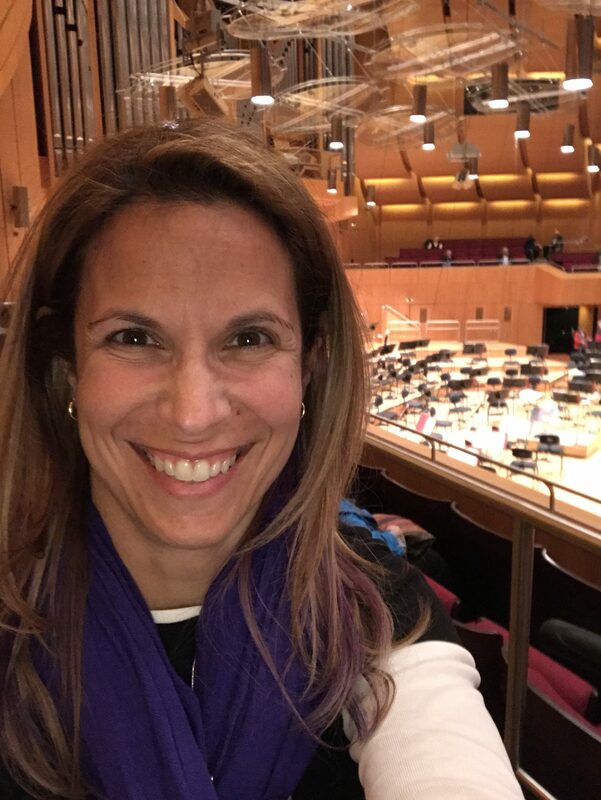 That may sound strange to some, and while there are plenty of pros and cons to traveling solo, the former definitely outweighs the latter for me. For wheelchair users who would like to try traveling alone for the first time, the prospect may seem very daunting. However, out of the 39 countries I’ve visited in my life, 22 of them were in a power scooter and 16 of those were solo. I have also been on two solo road trips in remote parts of the United States. 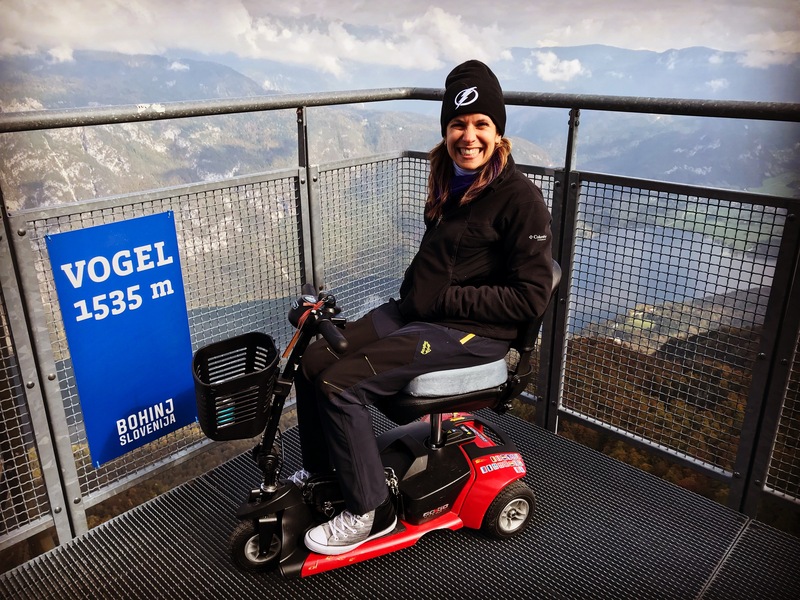 There are certain physical abilities you must have, and you should definitely have a good amount of wheelchair travel experience under your belt before attempting solo travel. But I’m here to tell you it can be done! Here are my tips for how to travel the world solo in a power wheelchair or scooter. Some minimum physical requirements are needed. It should go without saying that you need a certain degree of physical strength and mobility to live independently, and definitely to travel solo with a power wheelchair or scooter. While I own a manual chair and use it on certain occasions, I never travel alone with it because I don’t have enough upper body strength to wheel myself around all day, and definitely not uphill. Thus, I can’t offer advice for maneuvering luggage or transferring from a manual chair because I don’t have that personal experience, although I know plenty of manual chair users who do. 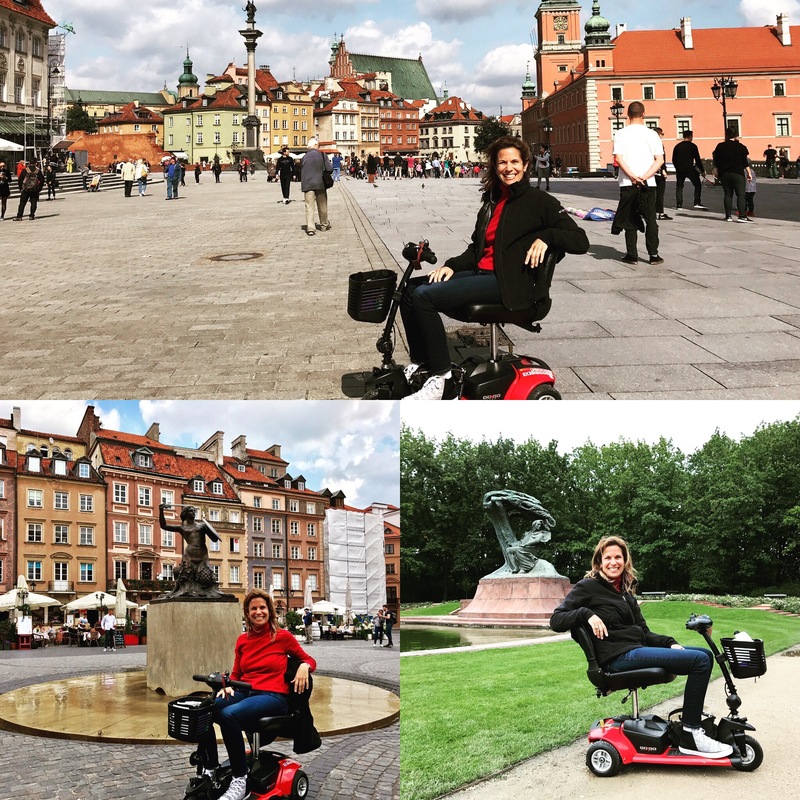 That’s why this post is limited to disabled travelers who use a power chair or scooter – both of which I have traveled with. You will definitely need to have upper body control and at least a decent amount of strength for various tasks. I don’t exercise nearly as much as I should, and I’m sitting down all the time. However, I use my upper body constantly throughout the day to transfer to the toilet, to my bed, the driver’s seat in my car, etc. 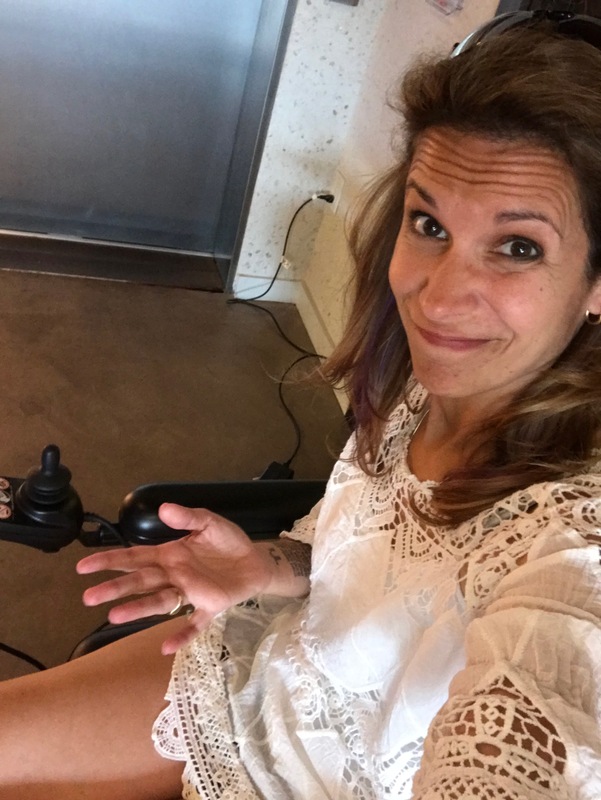 I am able to stand in one spot and pivot (which does make my life a lot easier), but I can’t lift my legs at all to even take one step. I also have very poor balance and poor trunk control. But I can accomplish the basics of travel, which you should be able to do as well. These include managing your stuff while going through airport security; participating in transfers to airline seats and aisle chairs; getting your luggage off the baggage claim belt if no one offers to help; hanging and removing backpacks or other bags from your chair; and transferring to and from beds and toilets on your own (watch my video above for more on hotel room transfers). Place a priority on packing and traveling light. It may take a few trips to reach the right balance, but I promise you that the less stuff you travel with, the happier you’ll be. And NEVER bring more gear than you can carry and move by yourself. You will probably have help available in many places, but my rule of thumb for safe and successful solo travel is if you can’t do it by yourself, you shouldn’t be doing it. Start with a good suitcase. This is NOT the place to skimp on gear. I swear by spinner suitcases, which are the ones that have four wheels that spin independently. Yes, they will roll away from you on inclines and slopes, but nothing beats how easy they are to roll right next to your chair or scooter. Be careful that you don’t get greedy with regards to suitcase size! You shouldn’t travel with more than one suitcase, so you may be tempted to go big. That’s when you realize you also have to lay it down in hotel rooms and pick it back up by yourself. Test them out in a store by doing all of these things to find the size that works for you. Next, get a great backpack with lots of space and pockets. Your most important stuff needs to go in there so you can keep it with you on the plane: medication, chargers, electronics, spare/repair parts, etc. I keep a tiny empty water bottle in the side pocket that I fill after security in case I need it. In addition to my backpack, I use a small PacSafe shoulder pouch that is pickpocket-resistant for my currency, passport, and credit cards. Anything else goes in my purse or my scooter basket when I’m out and about. Have the tools to capture memories on your own. This is where good tech comes in. I hate being in my own pictures because I’m always messy and dressed down, but sometimes you gotta prove that you were there! You may hate even the term “selfie stick,” but if you’re traveling solo, you’re going to need one at some point if no one trustworthy is around to take your picture. If you’re a bit more high-tech like me and want to take great shake-free videos, you can invest in a gimbal for your smartphone. This has been a lifesaver for me because I’m often trying to take videos of my surroundings while steering/driving my scooter one-handed over sometimes VERY rough surfaces. Another thing I would recommend buying is a set of lenses for your cell phone. You can get both a wide-angle and fisheye lens that clips onto your phone over the camera eye for on Amazon: Phone Camera Lens,Hizek 0.36X Super Wide Angle Lens+15X Macro Lens+230°Fisheye Lens 3 in 1 HD Cell Phone Camera Lens Kit. This will help capture so much more space behind you in your photos and video. You can also bring along a tabletop tripod and remote shutter switch so you can trigger your cell phone’s shutter from a distance. This will let you take full-length photos of yourself (or those dramatic from-behind contemplative shots for Instagram). Be able to think on your feet (so to speak). It should go without saying that you need to be able to figure things out pretty well when you’re traveling alone. However, it can’t hurt to emphasize this point. There are tons of things you can plan and prepare ahead of time, like metro maps, lists of contact numbers, places you want to visit, etc. But like Prussian military commander Helmuth van Moltke said, no battle plan survives first contact with the enemy. I can’t tell you how many times I’ve headed towards a museum to find my intended path blocked by construction, or Google Maps telling me to cross a busy highway with no crosswalk or dropped curb. If something goes wrong with my scooter, I have to know where to call for a repair. Be okay with stopping and assessing alternatives for getting somewhere – likely with a delay – without letting it ruin your day. You also need to be the type of person who doesn’t panic. I recently tipped my scooter over by accident and got scratched up and bruised in VERY accessible Singapore. I was scared, but somehow managed to stay calm and yell loudly for help. Within one minute, several men came running over to help get me upright and make sure I was okay. I’ve had my front scooter tire come off the rim en route from Frankfurt to Ljubljana. I was freaking out, as my guide Mija from the awesome NoLimits Tours can attest! But I stayed as calm as a could, and within 30 minutes the airport techs had my tire repaired. Things will inevitably not go as planned, so if you’re traveling solo, having a positive attitude and clear head is a must. Know your body and mobility equipment inside and out. It’s one thing to be tired; it’s another thing to be completely exhausted. Few things will sideline you faster during a solo trip than ignoring signals from your body that it’s time for a break. No one knows your body better than you do, so take a minute every day to self-assess. How is your energy level? Are you thirsty and possibly dehydrated? Is your appetite normal or was eating that street food too risky? Do you need to tend to any potential pressure sores? I know that self-care can sometimes force you to miss a few things in favor of rest, but try to work some down-time into your itinerary to prevent this. The other thing that can sideline you quickly is your mobility equipment failing on you. Pay attention to those little colored dots on your battery meter! Remember that your battery performs differently based on the terrain. Take your charger (and plug adapter) with you in case your battery runs dangerously low and you need to stop somewhere to charge for a bit. Are you hearing a strange rattling or other noise? Check it out before something detaches or breaks. There’s always the potential for something to get dislodged during a flight or by taking that curb too aggressively. Don’t be afraid to ask for help – or accept it when offered. I really hate asking for help when I travel, and my strong sense of independence – and stubbornness – often prevents me from accepting it when I should. I still stand by the solo travel mantra that if you can’t do it by yourself, you shouldn’t be doing it, but if help is available and it will prevent you from possible injury, go ahead and ask for it. I rarely turn down offers for help while abroad anymore. It makes people feel good and my life easier, so why say no? This is NOT to be confused with people touching or “helping” you without permission. Be very clear in these situations that you are okay and will let them know if you need anything. Start with an accessible tour company to get your feet wet. Just because I travel solo doesn’t mean I’m always by myself. During my recent Asia/Pacific trip, I did spend my time alone in Singapore and Hong Kong, but I was also with a guide for nine days in New Zealand. I’ve worked with accessible tour companies in probably a dozen or more countries, and it’s nice to have that security blanket of professionals who understand your needs while away from home. 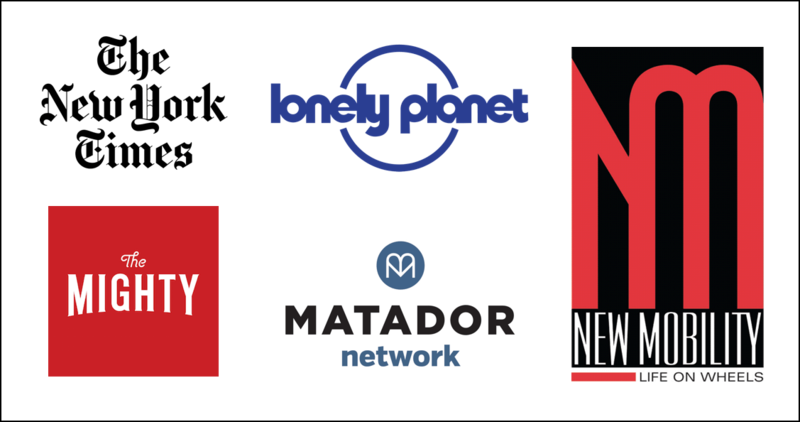 Some tour packages are fully escorted, while others provide a few tours with tons of free time for you to explore independently. The less accessible a destination is or the more ground I want to cover, the more likely I am to use a tour company. 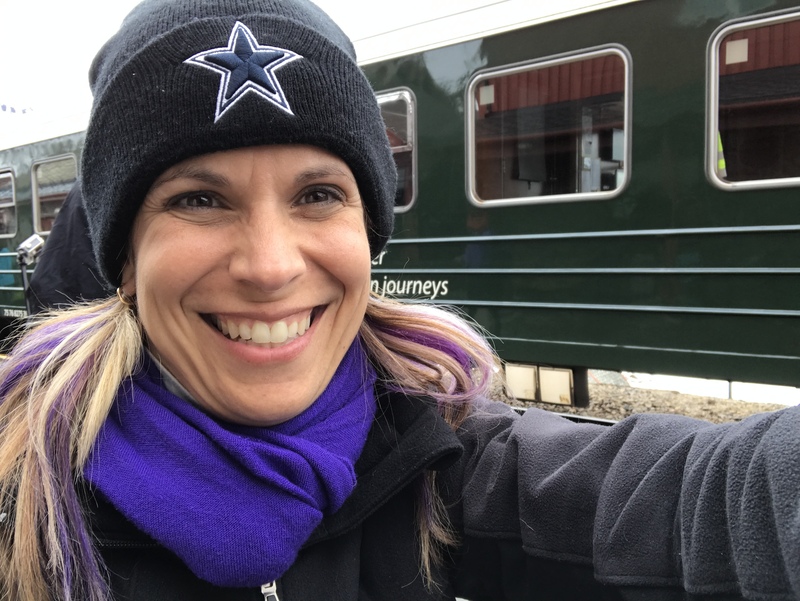 Solo travel isn’t for everybody, but if you’ve got an adventurous spirit and really want to test your physical and mental limits through travel, then give it a shot! Start small with a weekend stay in a neighboring city. Then try a short-duration flight alone before moving on to long-haul. 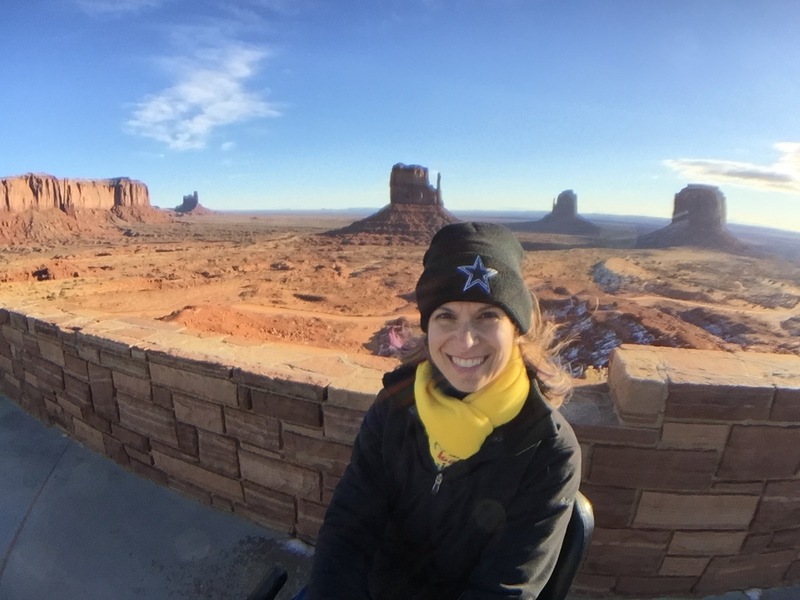 I hope these tips help you make the plunge into your first solo trip with your power wheelchair or scooter! 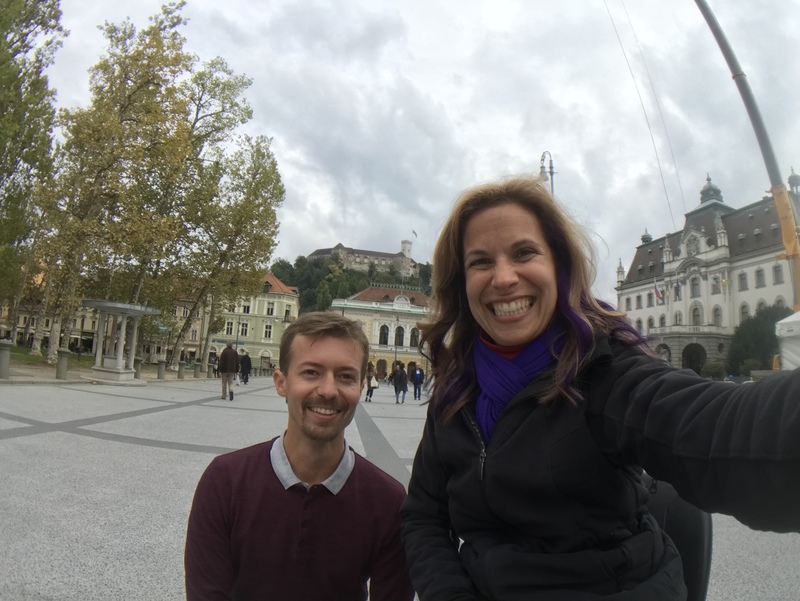 Ready to book your first solo wheelchair travel adventure? 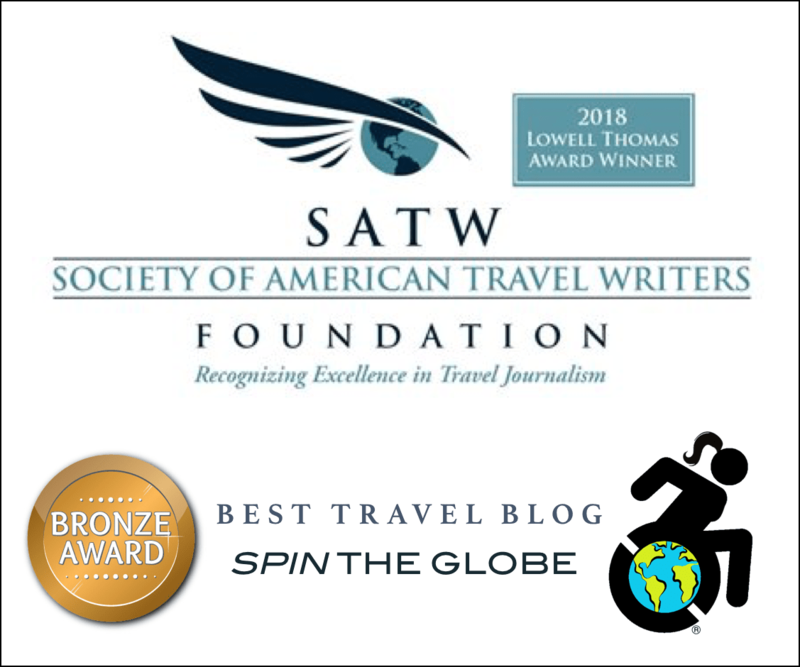 Contact me at Spin the Globe/Travel! Thanks so much for the tips on traveling with your power chair or scooter as I’m trying to plan my first trip on my own in a power chair without even being able to drive. May God continue to be with you in your travels and you can continue all your blogs as I read each on of them all the time when I need to find something on what to do with my power chair.